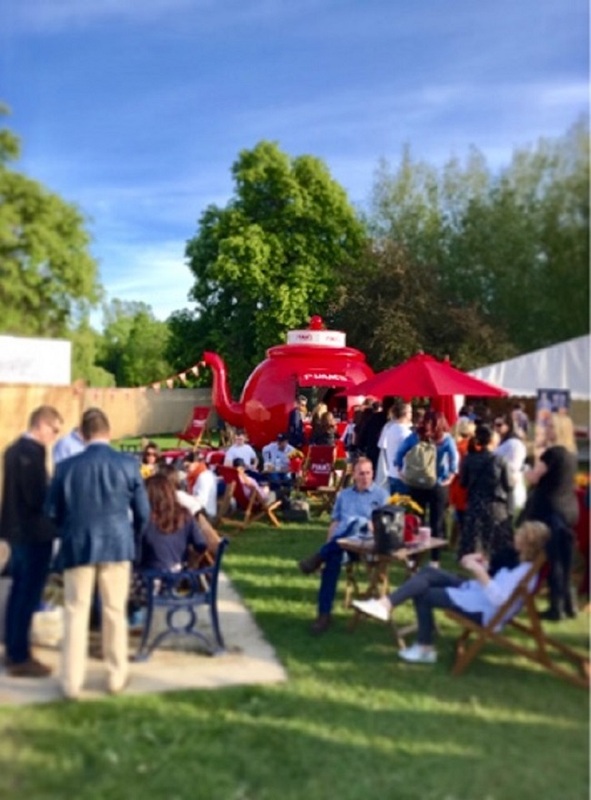 No Summer Party is complete without a jug or rather... pot of Pimms! The first event of the season! Here comes summer 2017! 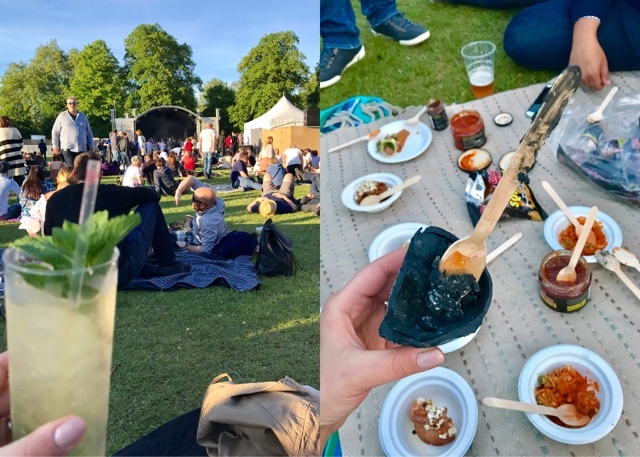 Organised by the talented chef Tom Kerridge, promising to gather foodies and BBC cooking show devotees to the quintessentially English riverside town of Marlow - Pub in the Park was created. Tickets went on sale about a month and a half ago - they sold out within 2 hours! I got a WhatsApp group going, just to make sure I bugged my friends enough, to get tickets on time. It worked! Six of us dissented to Marlow last Sunday afternoon to sample gastro-pub dishes by the river, in the sunshine! 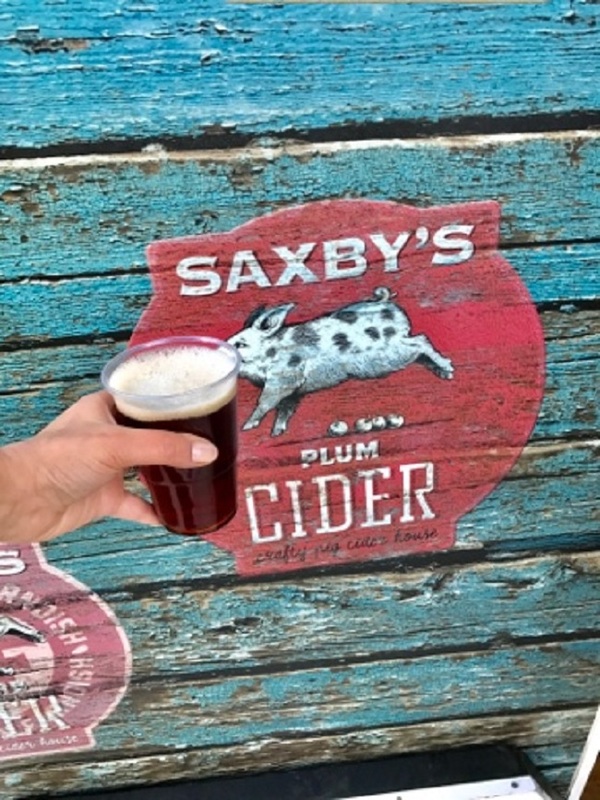 Plum Cider, for all sweet-tooth piggies, present company included! Aloo Chaat...by Atul Kochar, who has recently taken up the Compleate Angler in Marlow and I hear more and more satisfied customers recommending it lately. Sunlight in a bite - smocked haddock arancini! 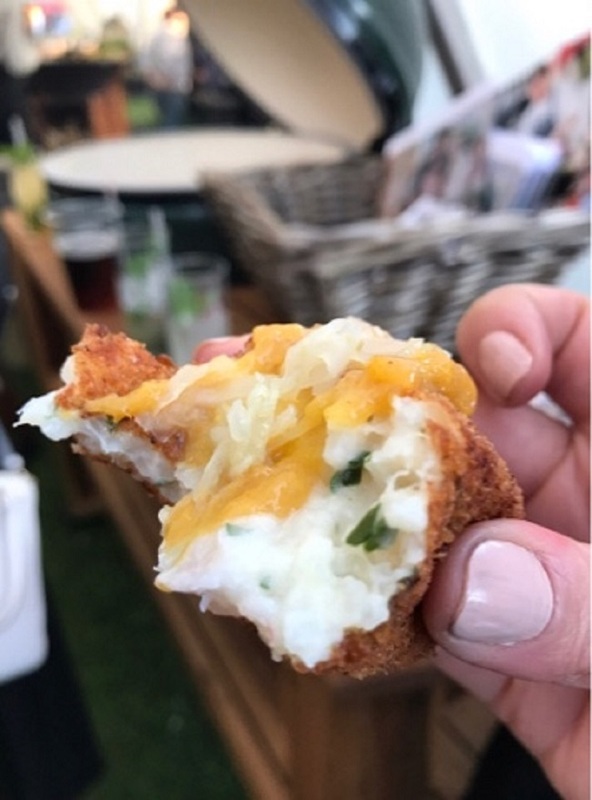 My absolute favourite dish: Smoked Haddock Arancini with Egg yolk & Lemon pickle, by the Hardwick, delicious and creamy! Most interesting dish: Malted Pork cheek Choux bun with Bacon crunch, by the Hand & Flowers - the choux bun was interesting, although a bit hard to bite into, but once you got past that, the pork cheek was a sweet and smooth surprise! 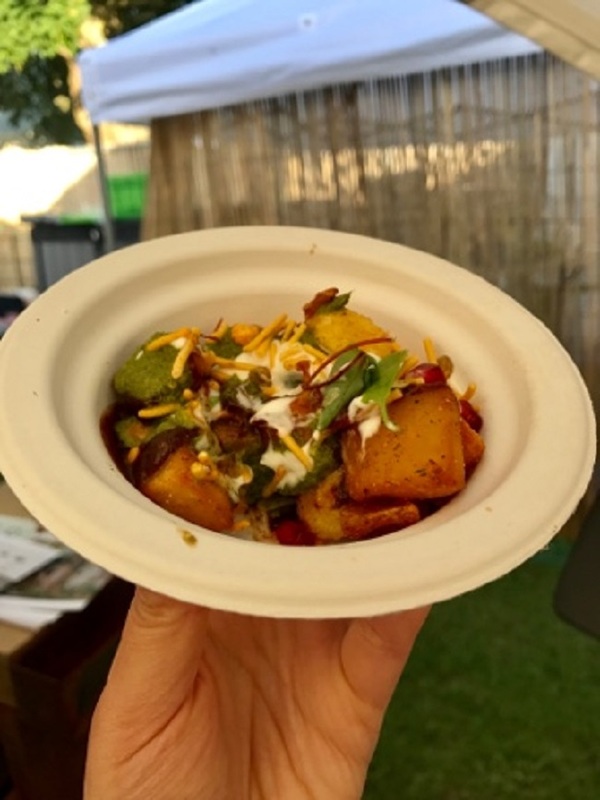 Gotta have a curry: Aloo Chaat - a modern version, with fried potato chunks, by Atul Kochar! Pity that some of the dishes had run out, even as early as the event had started. I wonder how that happened, the event was otherwise so well organised. We had all picked our favourite dishes in the taxi, on the way to the Park and had a plan for each of us to go get our favourites and then re-group and try a bit of everything; so, childish as we are, we were a bit disappointed that we didn't get to try what we had planned...venison chilli, pan-fried fois gras, all very popular and all very...finished! Most unexpected dish: Sweet and Spicy Korean Fried Chicken, by Galvin Hop - soft and crispy at the same time, sweet and spicy all in one go...oh yes, that was in the name! 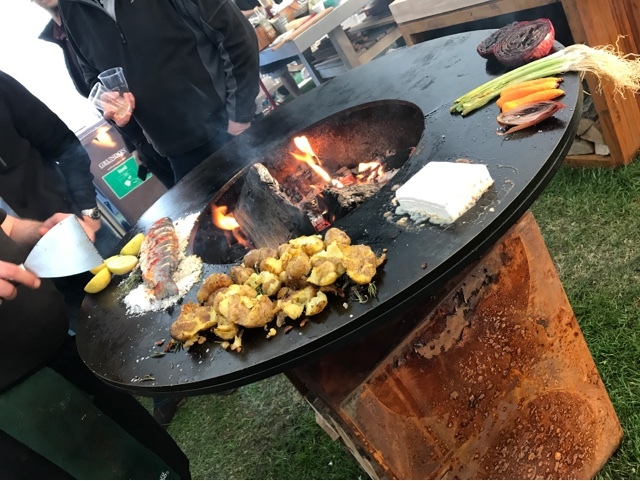 What a clever open fire pit: smashed potatoes, barbecued feta, sea bream...all so smoky and delicious! Only, remember not to lean against it! 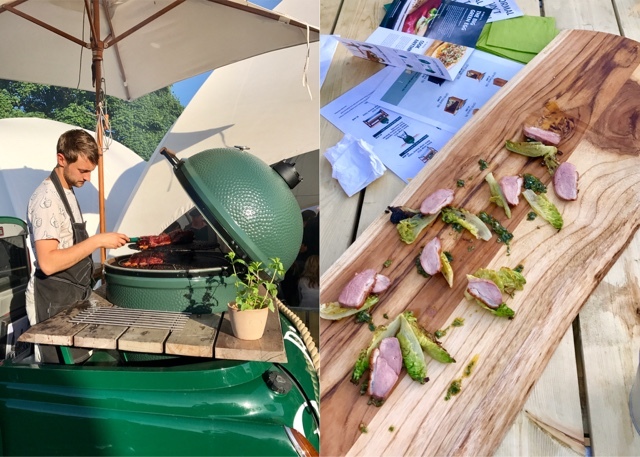 We got into a tasting session organised by the Big Green Egg, a company that sells interesting BBQs and fire pits designed for open fire cooking. All you had to do was queue up and be patient...sounds simple enough but when there is so much temptation around, time is of the essence! 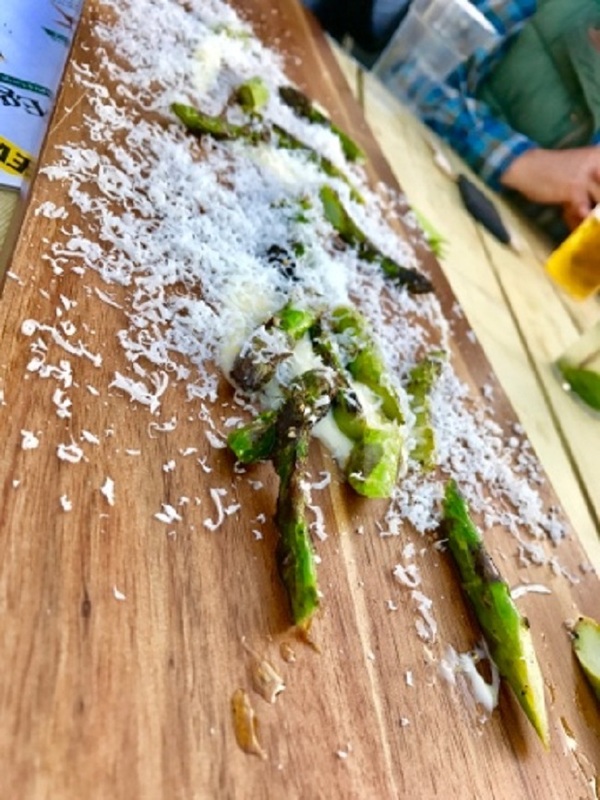 We sampled duck and barbecued pork but surprise- surprise, the best dish of them all was barbecued asparagus with grated parmigiana. Sh-moking! 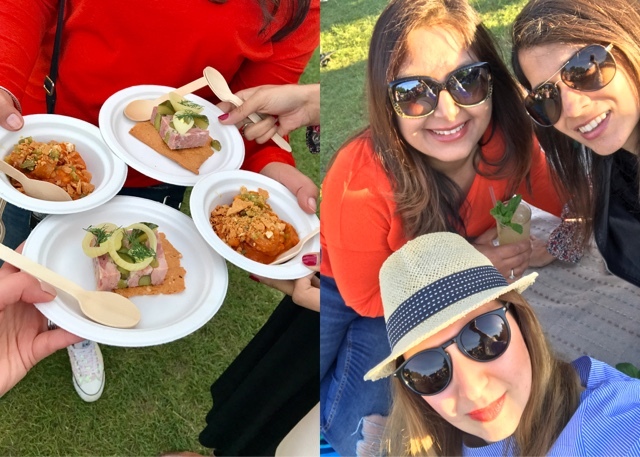 After walking around the different stalls, we camped by the music stage and had the most un-co-ordinated picnic ever: Everybody kept bringing dishes and little local products from the stalls around. Mixing pork scratchings with chilli marmalade and charcoal cheese...hmmm ...washed down with Plum Cider, Mojitos and Espresso Martinis! What were we thinking? My husband presented me with a block of charcoal cheese. He was so proud that he got me a gift! It could have been worse, he could have got me the Garlic Beer, so pheew! Left: Goodies from Tom Kerridge's own pub, terrine with asparagus and spicy sausages with white beans. Our camp-site in the sun and our un-conventional mess of a picnic! Special appearance by the Charcoal Cheese! 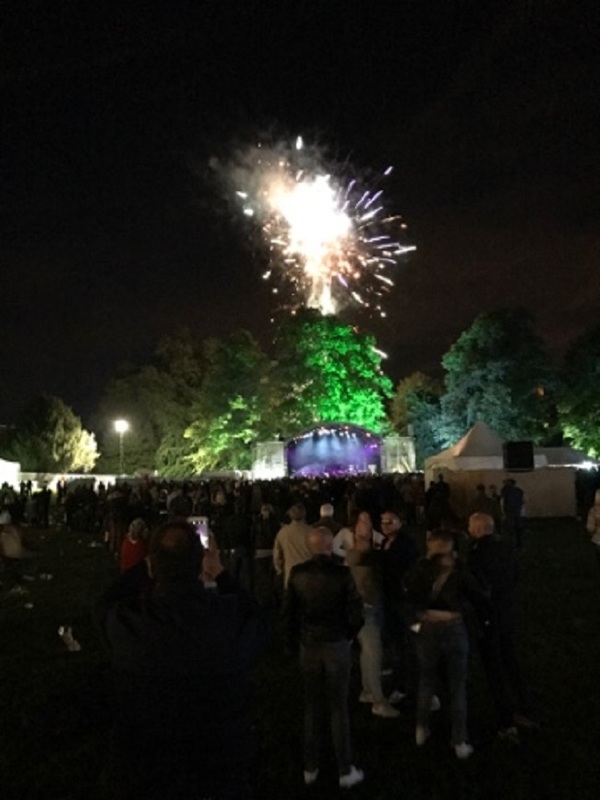 There was live music until 11pm, by the Riffles, which kept us swaying and if you happened to see us reeling at some point, well, we are still proud of it! I would have loved to see Toploader on Saturday or Sophie Ellis Bextor on Friday too, but we got fireworks, so there!